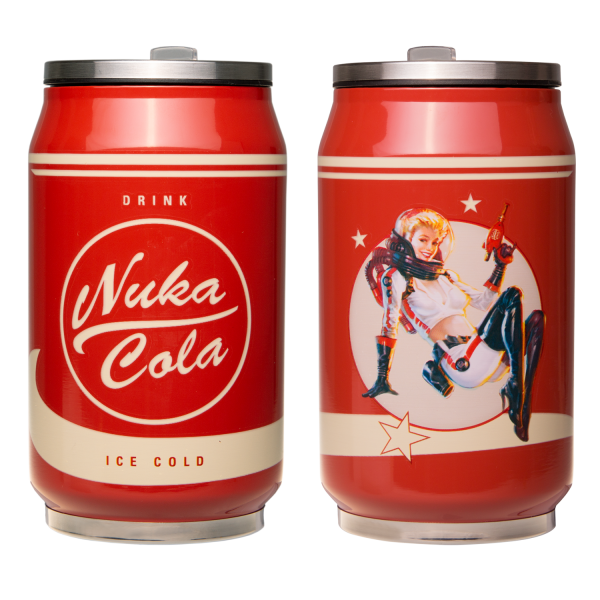 Although it's usually just sold in bottles, you can now disguise your favourite beverage as "Nuka Cola" with this stylish insulated metal can featuring the famous pin-up design. Holds approx. 330ml, no matter if hot or cold and has a fold-out straw. Handwash recommended. Manufactured by Gaya Entertainment.